So it happened on Friday; my first rejection. I'd been expecting it because that's what happens, isn't it? You send your synopsis and sample chapters off, you get rejected, you give up. Well, that is what used to happen to me but not this time. I made a New Year's Writing Goal to not give up. And I'm not going to. 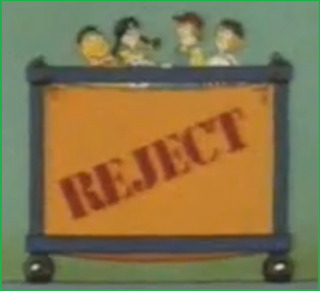 When I first read the rejection, I had a wobble. I asked myself why I was bothering. Do I seriously think it will ever happen? I may as well just forget the whole thing. But then I realised I was being a big baby and having a sulky strop. People get rejected every day. Even published writers were wannabe writers once upon a time and they were probably rejected along the way (it always help to remind yourself that J K Rowling was rejected numerous times before Harry Potter was published). So I picked my chin up (and it was bloody heavy too - when I sulk, I sulk) and got my laptop and notes out. I also logged onto Twitter, which I don't normally do while writing as it's too much of a distraction but the people on Twitter were lovely and helped spur me on. I wrote 1300 words that night, which is brilliant considering a) Earlier that day I thought about never writing again b) I was also on Twitter and c) it was a Friday night. So, sulk over, I am continuing with both finding an agent for Book 1 and the first draft of Book 2. As I promised in my New Year Writing Goals, I will submit Book 1 to the next agency on my list (I only sent a few off initially as 15 rejections all at once would be too much) this afternoon. I will keep going this time. I've binned too many novels because they were rejected once or twice.